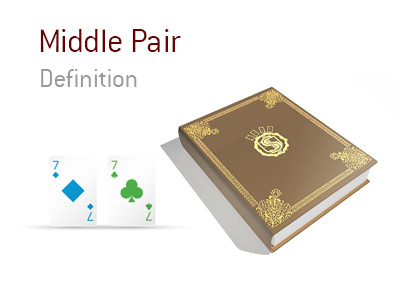 What does the term "middle pair" mean in the world of poker? What is the definition of the term "middle pair"? In poker, a "middle pair" occurs when you make a pair with the "middle" card on the flop. So, let's say that you are playing in a $1/$2 No Limit Hold'em cash game. 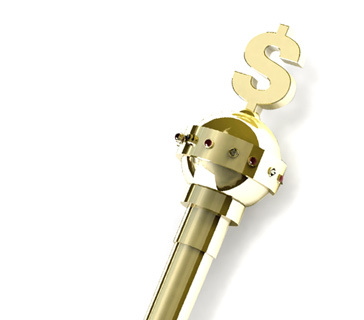 Action folds around to the button, who puts in a standard 3x raise. The small blind folds. You are in the BB and decide to call holding 8s-7s. The flop comes 2d-7d-Ks. In this case, you have flopped "middle" pair, as you have a pair of 7s. The 7 of Diamonds is the "middle" card between the 2 of Diamonds and the King of Spades, which means that you flopped middle pair. Given that the majority of flops will miss players, a middle pair can be a decent hand to hold. In the example listed above, you could very well be ahead in the hand, as your opponent could have raised with practically anything. In this case, you should strongly consider the idea of calling the button's continuation bet (which will almost surely come) and re-evaluate after the turn. If your hand doesn't improve after the turn and your opponent keeps betting, then you might want to think about throwing away your hand.